Melbourne hang on for a crucial victory against a very spirited Carlton team. The Demons were beaten in contested possessions (167141), clearances (40-32) and inside 50s (48-45), but won through their forward half efficiency and accuracy. Carlton has won the contested possessions (4937) and tackles (24-16) in the final quarter, but have not been able to add to the three early goals. An excellent finish from Jake Melksham puts the Demons back in front of a gallant Carlton who is being well served by its star players. The top five players for disposals are all wearing navy blue. Another pair of strong contested marks from Levi Casboult sees the Blues now lead 207 in such marks. They also lead forward 50 marks 12-7. Melbourne average 34 points per game from defensive half chains, but today has scored just 1.1. (7) from such chains with the Blues doing well to disrupt the Demon ball movement. Neville Jetta taking an important intercept mark (his third) in a oneon-one contest for the Demons. Jetta has won a team-high 76 intercepts possessions this season, including 22 intercept marks (the second most at Melbourne). Five inside 50s in a row to the Demons now who are trapping the ball in their forward half with excellent pressure. Melbourne lead forward 50 tackles (106) and forward half tackles (36-27). An important answering goal to Jeff Garlett following another forward half intercept. Melbourne has now scored 5.0. (30) from free kicks, and the Blues have scored 3.1. (19) with both teams guilty of handing easy goals to their opposition. Three quick consecutive goals to start the final quarter for the Blues, and Jack Silvagni has an equal careerhigh three goals. Docherty and Simpson are again providing excellent rebound for the Blues. They have more than 50 disposals combined and are ranked No.1 and 2 for metres gained. 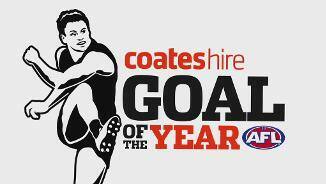 A brilliant boundary goal from PetrevskiSeton starts the final quarter scoring. Carlton has now scored 5.2. (32) from 20 forward half intercepts, eclipsing their season average. An efficient quarter by the Demons against the injury depleted Blues. Melbourne managed to shade Carlton at clearances (87), and inside 50s (14-12), but also benefited from the Blues missing chances. Carlton scored 2.3. (15) from nine shots at goal. Christian Petracca has gamehighs for contested possessions (14) and clearances (six), with the young star taking on more of a midfield role with Viney, Tyson and Jones absent, and shapes as a key player in the final quarter. Four goals now to Tom McDonald following a rare contested mark for the Demons. Melbourne has now scored 7.1. (43) from stoppages, and has six of the last eight goals in the game. Carlton currently lead 164 in contested marks with Casboult and Curnow having taken four each. 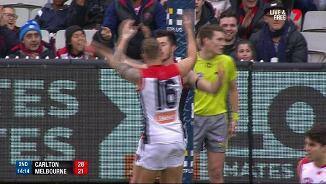 Despite conceding the clearances 2132, Melbourne lead in scores from stoppages 37-28. Carlton has scored only 1.1. (7) from its five forward 50 clearances. Backto-back goals to the Blues following an accurate set shot from Marc Murphy. Carlton has scored 6.2. (38) from its set shots today and Melbourne has scored 5.2. (32) from set shots at goal. A goal against the flow to the Blues kicked by Matthew Wright, was their fourth goal of the game from a forward half intercept. Wright has kicked more goals than any other Blue since crossing from Adelaide. After having the last six inside 50s to end the second quarter, the Demons lead this count 93 in the third quarter. Some excellent forward half pressure by the Demons, and a clever assist from Petracca, gifts a goal to Jeff Garlett. The Demons now have the last four goals. Sam PetrevskiSeton has impressed again today for the Blues, and currently has a game-high seven tackles, ten disposals and three score involvements. Carlton lead the centre bounce clearances (85), but has only generated three inside 50s and no scores from these opportunities. The third quarter starts in the same manner as the second quarter with a Tom McDonald goal. This goal was the Demons first score from a centre bounce clearance, and they average 13 points per game from such a source (ranked third). Carlton was the better team in the first half when the ball was in dispute, winning the clearances (2615) and contested possessions (77-71), but saw clearance talisman Patrick Cripps hobble from the ground midway through the second quarter. 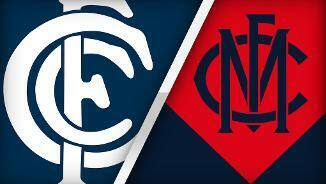 In the second quarter, Melbourne had kicking efficiency of 74 percent compared to Carlton who had kicking efficiency of 48 percent. 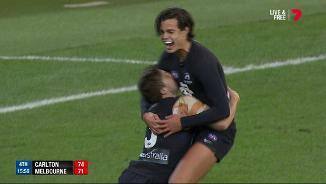 While Melbourne lead the hitouts (2520) and hitouts to advantage (6-3), Carlton has won first possession at stoppages (26-21) and converted this into a 26-15 win in clearances. Melbourne has generated 45 of its 46 points from forward half chains. The Demons lead 2416 in forward half tackles, and this pressure has contributed to some of these scoring opportunities. A late goal to Tom McDonald from another free kick (the fourth such goal to the Demons) has reduced the deficit to just one point. Melbourne had the last six inside 50s to end the quarter and scored 2.1. (13) during this period. Sam Frost has a gamehigh nine intercept possessions (no other Demon has more than three), and also has a game-high 357 metres gained. Blues InterchangeSimon White and is possibly out for the game. An important mark and goal from Jesse Hogan makes it a return of 5.1. (31) from just seven inside 50s this quarter for the Demons. Carlton has already scored 3.2. (20) from 13 forward half intercepts. This season the Blues average just 27 points from 21 such intercepts. Carlton lead the clearances (114) and contested possessions (34-24) this quarter, with this contributing to a 11-5 advantage for inside 50s. Charlie Curnow has now taken four contested marks. Melbourne has taken two such marks. A strong mark and goal from Casboult gives the Blues their third goal from a stoppage. This season the Blues average 22.3 points per game from stoppages, and they already have 21 points today from this source. Charlie Curnow ends the run of goals to the Demons with his second goal of the game from his third forward 50 mark. Carlton had five of the last six forward 50 entries leading into that goal. Blues InterchangePatrick Cripps and is possibly out for the game. All of the goals to Melbourne have come from forward half chains. The Demons average 51 points per game from such chains (ranked fifth). Three goals in a row to the Demons with Alex NealBullen crumbing a long bomb from Pedersen. Neal-Bullen is having a breakout season for Melbourne, averaging 18 disposals, six score involvements and five tackles. A second goal for Wagner, and another goal coming courtesy of a free kick. Both teams have taken just the two forward 50 marks with the defences holding sway. Tom McDonald gives the Demons the first goal of the second quarter with an accurate snap following a free kick. Three of the five goals in this game have come from free kicks. Matthew Kreuzer had a teamhigh six contested possessions, three clearances, nine disposals and the late goal in an influential opening quarter. His opponent Max Gawn had just the one disposal in the first quarter. A good first quarter from the Blues who gained a territorial advantage (inside 50s were 138) on the back of winning the clearances (11-8), and using the ball more effectively (kicking efficiency 71 percent compared to Melbourne 57 percent). The Blues have now scored 2.1. (13) from chains starting the defensive half. This season Carlton average just 26 points per game from this source, but has looked more dangerous today on the counter attack. A goal saving intercept mark from Sam Frost who has made a good start today and having a career best season. Frost has won 33 groundball gets in the defensive 50 this season, which is the third most in the competition. Both teams are struggling to retain possession with their kicks inside 50. The Demons have lost possession with 41 percent of their kicks into the forward 50 this season, which is the thirdworst percentage in the competition. 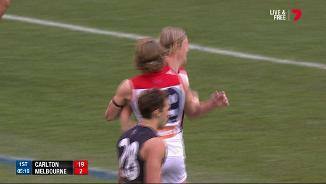 The Demons finally get on the board with the Wagner kicking the first goal of his career. Clayton Oliver was involved in that score, and has already recorded 13 disposals in a prominent start for Melbourne. A sloppy start here by the Demons with Garlett missing a set shot he would normally convert. Since 2014, Melbourne has generated a goal from only 19 percent of inside 50 entries against Carlton, which is the worst percentage recorded by a side. A great start here for the Blues with Charlie Curnow making it two goals from two forward half intercepts . Curnow collected careerhighs of 22 disposals, 20 effective disposals and 11 marks against the Crows last week. Melbourne has recorded only 11 effective kicks, while the Blues are already up to 32. Kreuzer and Cripps have made a good start at the stoppages for the Blues who lead the clearances 63 (Cripps has three of these). Kreuzer averages 14.4 disposals against the Demons, which is his second best number against all teams. The second goal for the Blues came from a chain started at a defensive half stoppage. 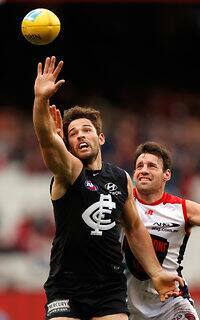 Carlton is ranked second last this season for differential in scores from stoppages. Both teams have been quickly into their preferred method of ball movement. Melbourne has recorded twice as many handballs as kicks, while the Blues lead in marks taken (103) with patient ball use. Two early free kicks gifting Carlton two shots at goal to start the game before a Melbourne player has even touched the ball. Matthew Kreuzer missing the first shot at goal after a free kick. Carlton has scored 52 percent of its goals from a set shot this season, which is the highest percentage in the competition. The Liam Jones renaissance will be on display today at the MCG. Since returning to the senior team in round 12, Jones is ranked No.1 in the AFL for both intercept marks and spoils (and has won more oneon-one contests than any other player). The Demons recorded 15 fewer inside 50s and 11 fewer clearances against the Swans last week, which are their worst differentials in both categories this season. Carlton has been very cautious with its ball movement in 2017. The Blues have directed the highest percentage of defensive 50 rebounds to the boundary, kicked long with only 36 percent of kicks (ranked last), and played on from only 30 percent of marks. Jesse Hogan returns today for the Demons for his first game since round 7. Hogan was averaging careerhighs for contested possessions, uncontested possessions, goals and tackles early in the season. These two teams have been ball hogs this season, but in very different ways. The Demons are ranked No.1 for disposals and handballs, while the Blues prefer to retain possession by foot and have had more kicks than any other team. Welcome to MCG for the Carlton v Melbourne Round 16 clash. 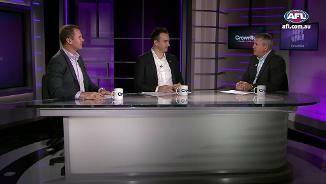 AN UNDERMANNED Melbourne has pulled out all the stops to run down a brave Carlton, outpointing its opponents in a tense last term to claim a thrilling eight-point victory at the MCG on Sunday. Without co-captains Nathan Jones and Jack Viney, and inside midfielder Dom Tyson, who are all sidelined with injury, the Demons dug deep in the final stanza to overrun a resilient Blues outfit 14.6 (90) to 12.10 (82). Carlton lost star midfielder Patrick Cripps to a significant leg injury and defender Simon White to a knee injury in the second quarter. The hard-fought win raises the Demons to fifth place on the ladder (behind Port Adelaide on percentage) and the victory over the Blues was a welcome tonic after a horror loss to Sydney last week. The hard-fought win catapulted the Demons to fourth place on the ladder temporarily and the victory over the Blues was a welcome tonic after a horror loss to Sydney last week. Jake Melksham stepped up in a big moment for his new club, kicking the all-important go-ahead goal, from 50m out, at the 22-minute mark of the fourth quarter. The goal gave the Demons a two-point buffer with less than five minutes remaining. As Carlton threw everything it had at them, the Demons held firm and some smart clock management from Alex Neal-Bullen saw Jordan Lewis capitalise in front of goal after the final siren. 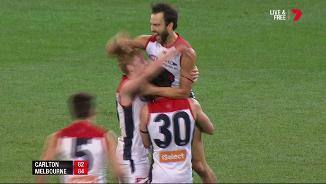 Max Gawn had the honour of captaining Melbourne's side for the day, but it was fellow leader Tom McDonald who seized the moment and led his side to a heart-stopping win. The defender turned forward continued his stellar form in front of the big sticks, slotting four goals, and giving the Demons the impetus to fight back from a 19-point quarter-time deficit. McDonald has now booted 14 goals in his past five matches and with Jesse Hogan still finding his feet after having surgery to remove testicular cancer just 54 days ago, he was the man to lead Melbourne home. After being criticised for a much-publicised dive against West Coast two rounds ago, Clayton Oliver's toughness came to the fore as he fought through heavy attention from the Blues on his way to a team-high 29 disposals and nine tackles. Oliver was also involved in a verbal altercation with a Blues fan in the second quarter where he was quick to snap back at a heckler over the fence. 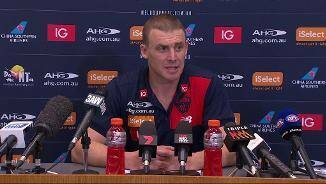 Coach Simon Goodwin said he wanted to establish all the facts first before commenting on the incident. "I'll have a chat with Clayton but I haven't got all the information so once I get that then we can have a chat about it," Goodwin said. "Clearly Clayton isn't going to react to something unnecessarily so let's get all the information on the table before we start criticising people." Neal-Bullen (25 touches and two goals) was poised in pressure situations, while Sam Frost's rebounding ability out of the back half proved crucial. Carlton was well on top early, kicking the first three goals of the match as ruckman Matthew Kreuzer got the upper hand in his duel with reigning All Australian ruckman Max Gawn. Kreuzer (18 disposals and 28 hit-outs) was the catalyst for the Blues' early ascendancy and the Blues were dominating in the middle of the ground with the likes of Cripps, Marc Murphy, Bryce Gibbs and Sam Kerridge all thriving. The leg injury to Cripps, suffered in the second quarter, changed the whole complexion of the match and when the Blues lost White to a left knee injury right before half-time the momentum swung back in the Demons' favour. Down to two healthy men on the bench, the Blues fought valiantly in the second half, as their young players Charlie Curnow (19 disposals, 10 marks and two goals) and Sam Petrevski-Seton (16 disposals and nine tackles) rose to the occasion. But in the end the lack of rotations (71-84) proved costly for the Blues as the inexperienced side began to feel the pinch in a pressure-filled final term. 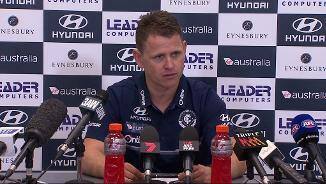 "It just reinforces that we’ve got some really strong characters who will dig in deep," Blues coach Brendon Bolton said after the match. "We’ll never blame rotations as a reason (for losing) because the game requires you to find a way. Our guys found a way to get enough looks in the last and just didn't complete those plays." 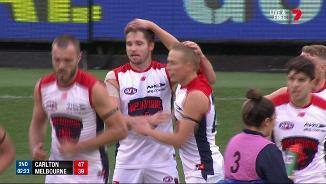 In an entertaining contest, there were five lead changes in the second half, but it was Melbourne who came out on top to clinch an important victory as it eyes off a spot in September. 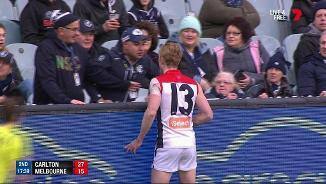 Carlton: Star midfielder Patrick Cripps left the ground in severe discomfort after being accidentally kicked in the back of the leg, as he attempted to smother Jayden Hunt's clearing kick from defence. Cripps went straight down to the rooms and did not come back onto the ground in the second half and was spotted on crutches on the bench. Simon White hurt his left knee in a marking contest late in the second quarter and was helped from the field by trainers. He also did not return after the long break. 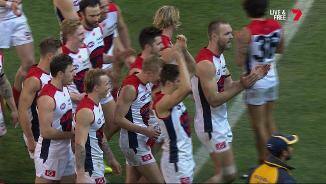 Melbourne: For the first time in a long while, the Demons emerged from the game unscathed. The Blues return to the MCG to face off against the battling Western Bulldogs next Sunday. Melbourne has a trip to Darwin to face ladder leader Adelaide next Saturday night and could welcome back Jack Watts and Dom Tyson from injury for the clash in the Top End.